Generations For Peace (GFP) conducted the first-ever set of local Participatory Evaluations (PEs) in 2014. Over the course of nine months, staff from GFP HQ travelled to 11 countries on three different continents to support our GFP volunteers who carried out the PEs for 22 programmes in total. In a PE everyone has a say and everyone’s opinion matters. This method gives voice to those who were involved with the programme itself – specifically, the Target Group, Beneficiary Community, volunteers and Stakeholders. GFP is first and foremost a volunteer-led organisation, therefore the PE method was chosen because it matches this mandate by handing over control to the volunteers themselves. 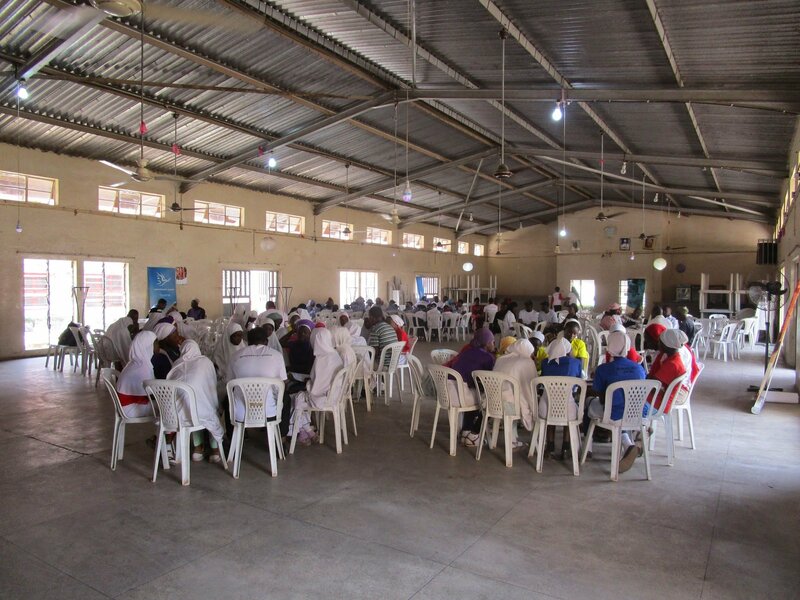 As part of an ongoing research project being carried out by the Generations For Peace Institute (GFPI), in March 2015 I travelled to Nigeria to observe the second round of PEs in action. The evaluations I went to observe were held early due to fears of potential violence surrounding the Presidential elections that were scheduled for the end of March. So, earlier that month I landed in the capital, Abuja, and then travelled by road north to Kaduna, a medium-sized city and the capital of the state that shares its name. 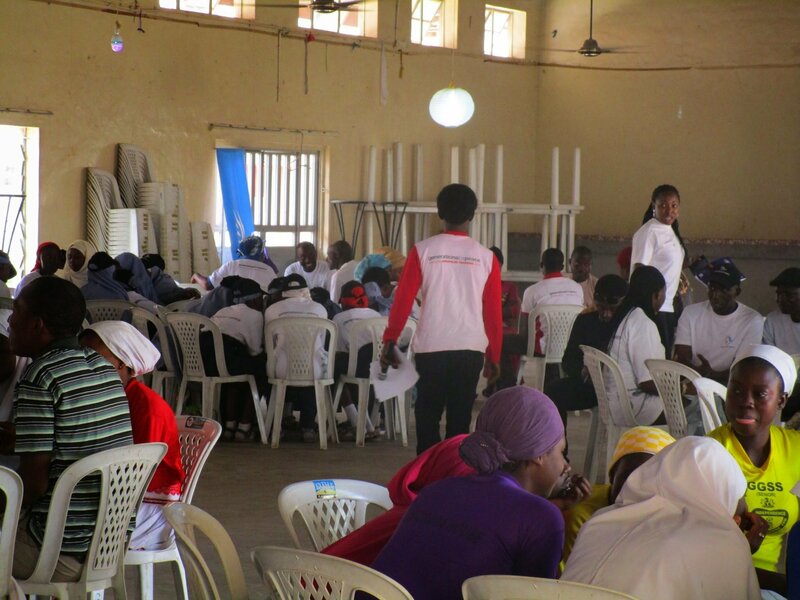 Programmes in Nigeria started in 2008 and are among the most established for GFP. 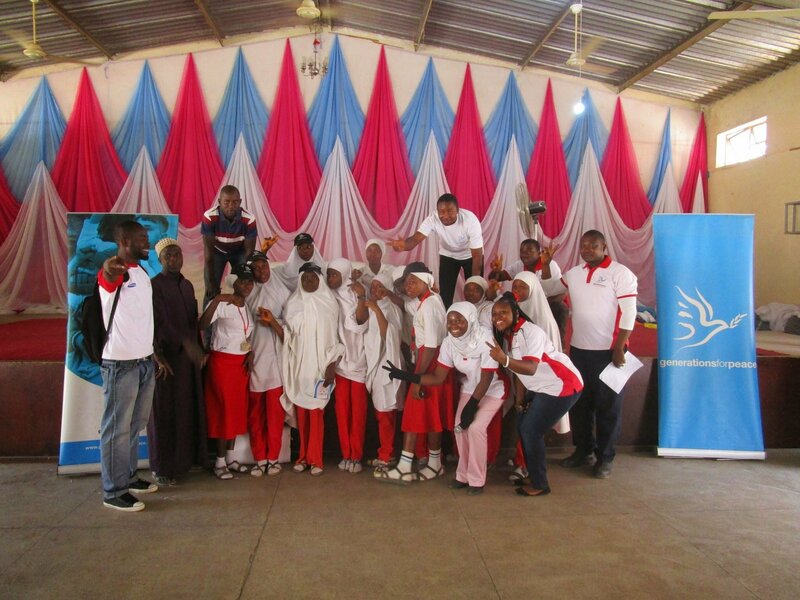 For the 2014 programme cycle, GFP volunteers ran four Sport For Peace Programmes in four different girls schools in Kaduna. In a nutshell, sport-based activities coupled with peace-building education aimed to increase girls’ confidence and improve their communication and leadership skills. More broadly, the programmes aimed to challenge gender norms that prevent girls from reaching their full potential and being able to participate in decision making in their communities later on in their life. Therefore, the four Kaduna Sport For Peace programmes touched upon three conflict dimensions: personal, relational and cultural. PEs bring together all of the different groups involved in the programme so that they can collectively assess what benefits it has created for the community. On the evaluation day itself we all gathered in a large hall in central Kaduna. In an unsuccessful attempt not to be noticed, I sat myself in a corner, equipped with a notepad and pen, and watched the process unfold. I was amazed to see so many different members of the community – our volunteers, programme participants, teachers, parents and community leaders – gathered together in the same place to talk about issues that matter in their community. As I witnessed, PEs are important because they increase accountability and give control of the evaluation process to those who were directly involved with the programme, which makes sense as it is they who implemented, experienced and will hopefully have gained from it. In Kaduna I observed people, who may not otherwise have spoken, working together, united by a desire to help bring about change in their communities. The PE day provided an opportunity for fruitful discussion, relationship building and the sharing of ideas, insights, and hopes – as well as a little impromptu dancing to unwind after hours of discussion. However, PE process is not without its problems. A demanding procedure, it places strain on our volunteers. I saw for myself the amount of work involved in organising the event: making sure everyone who needs to can attend, ensuring that they have transport, getting the venue ready, making sure they have all the needed materials, that the refreshments arrive on time – the list goes on. On top of this, the process needs to remain actively participatory; our volunteers have to ensure that everyone involved is making a contribution and that their voice is being heard. These observations, and many others taken from the field, will be used to improve the GFP PE process so that it is easier to follow and produces the most useful results – for the volunteers and for their community. Collectively, my observations, along with ongoing research being carried out by GFPI, should result in a report that informs this process for the next round of GFP PEs. My time in Nigeria was not solely devoted to PE, however. When I was not observing the process and talking to our volunteers about it, the trip also allowed me to sample some Nigerian culture. 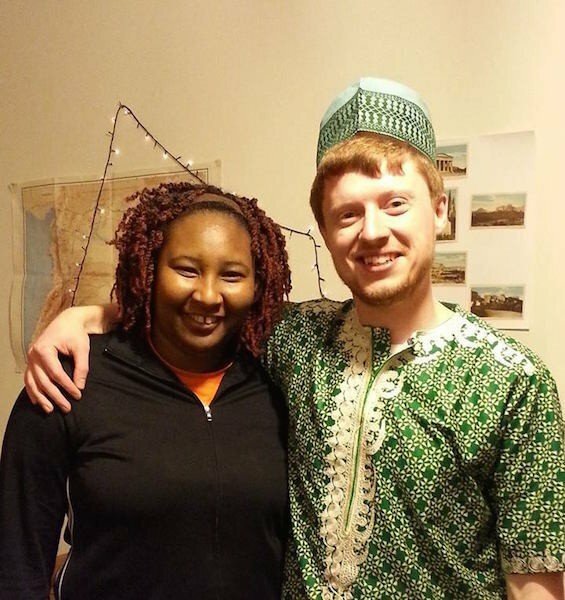 As Africa’s most populous country (one in four Africans are Nigerian), Nigeria is a patchwork of different ethnic and religious groups – and this variety is demonstrated in the backgrounds of our volunteers! Some of my experiences included the consumption of the fabled pounded yam (self-descriptive, usually eaten with meat or soup), which came highly recommended from colleagues at HQ, alongside a few other tasty items, including suya (spiced, skewed meat) and jollof (an orange-coloured rice dish with stewed tomatoes and chicken). The numerous car journeys I took during my visit provided ample time for me to be introduced to Nigerian music, including the catchy rhythms of Fela Kuti and Sunny King Ade. The highlight, however, was a surprise visit to the tailor to have my very own gbariye (shirt) and sokoto (trousers) fitted, in a style worn by the Yoruba. Safe to say, I returned to Jordan a more stylish man. For my new outfit, for all of these experiences and for all that I learned I would like to thank our Delegates and Pioneers in Nigeria! Help our volunteers continue the great work they do by supporting our #IWantToBe Crowdfunding campaign today!